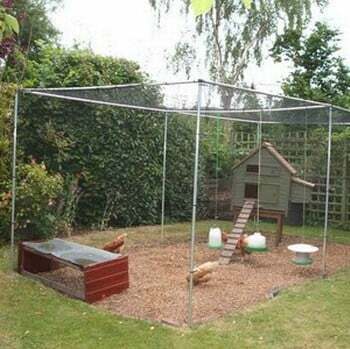 Our chicken and poultry cages are made by us in the UK to the same exacting standards as our best selling fruit cages. 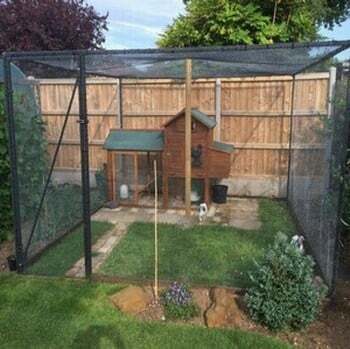 The steel chicken cage really is made to last using black powder coated galvanised steel while the strong aluminium tubing used in our aluminium poultry cage makes it a market leader, and both cage styles come with a 10 year framework guarantee. 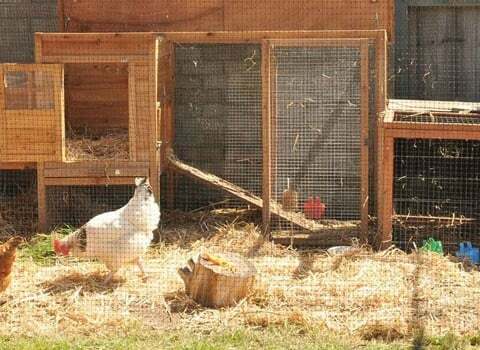 Each chicken or poultry cage features a secure door and stands 2 metres in height, giving both you and your flock plenty of head height and although the standard chicken cages are designed for level or slightly sloping ground, don't despair if you live on the side of a hill - we can prepare a bespoke chicken cage or poultry cage for almost every location.